Murud Janjira (Fort) - shares the reputation of being the Western coastline’s invincible island fort. believed to be one of Indias strongest forts. The fort was brought into inception by the Sidhdhis and remained undefeated. It is so tactically constructed that it has only one spot where a boat can come in. The fort has rusting cannons, palaces now in ruins, water tanks, a mosque and beautifully sculptuated gates and walls. 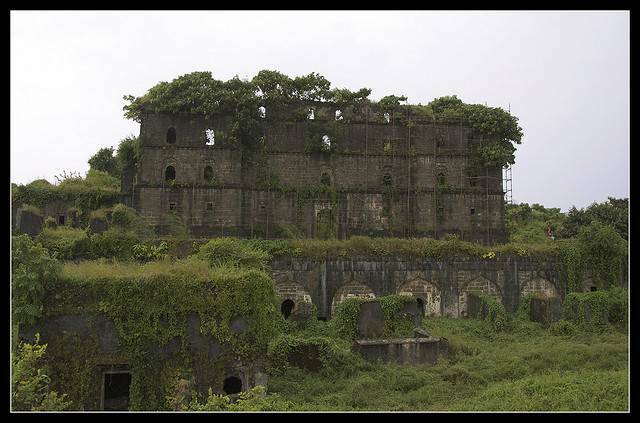 Sheer frustration of not being able to conquer the fort even after several attempts drove Sambhaji to construct another fort about 9 kms away with the sole intention of bombarding the seemingly impenetrable walls of Murud Janjira.This fort was called Padmadurg.